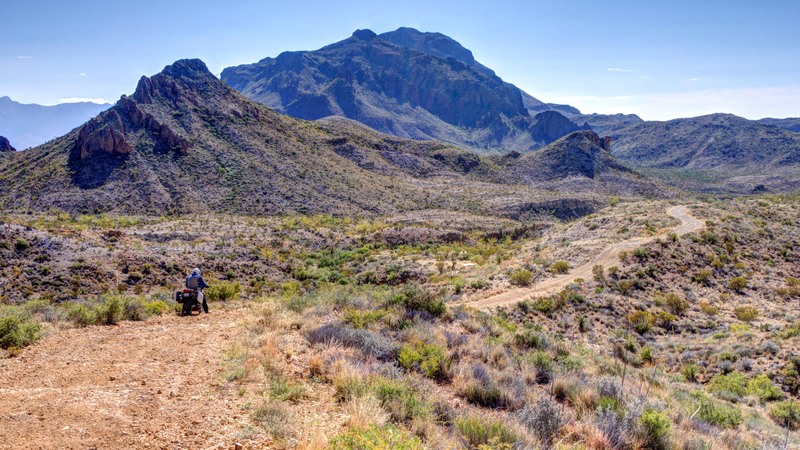 The riding on Terlingua Ranch can be a bit challenging in some places. My buddy Robert didn’t have the right bike on this ride and struggled some on the steeper, rockier areas. This was one of those places, though you can’t tell it from this photo. Robert’s a trooper though and he made it through just fine. What a beautiful area! Wow.